Touch Screen Karaoke Jukebox Hire Perth + 2 Free Party Lights. 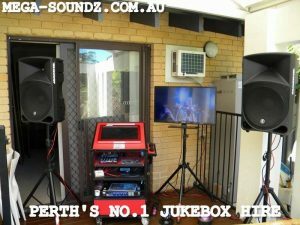 Perth’s Best Touch Screen Karaoke/Music Video Hire – PARTYOKE JUKEBOX !! Karaoke Touch Screen jukebox Hire, latest Super touch hire model loaded with 1000’s of Karaoke songs, original video music and music mixes, making this a great Party Maker. 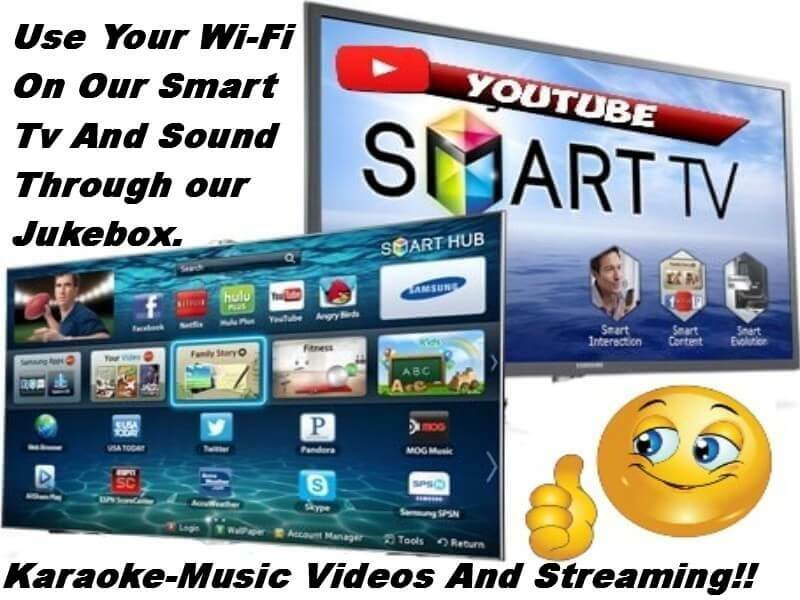 Comes with a large 19″ touch screen on the jukebox and 32″ singers tv on stand, 2x great sounding high spec speakers on stands, 2 effect lights, 2 wireless mics and a massive selection of songs for everyone including the latest hits and you can connect phones etc, you won’t find a better deal or better Touch screen Jukebox. 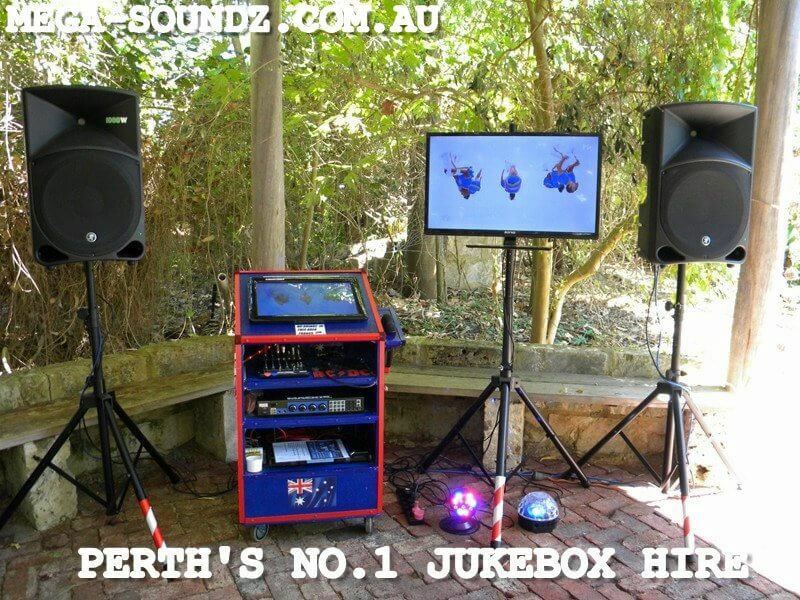 Like all our Jukeboxes it is updated weekly with the latest Karaoke and new chart video music. 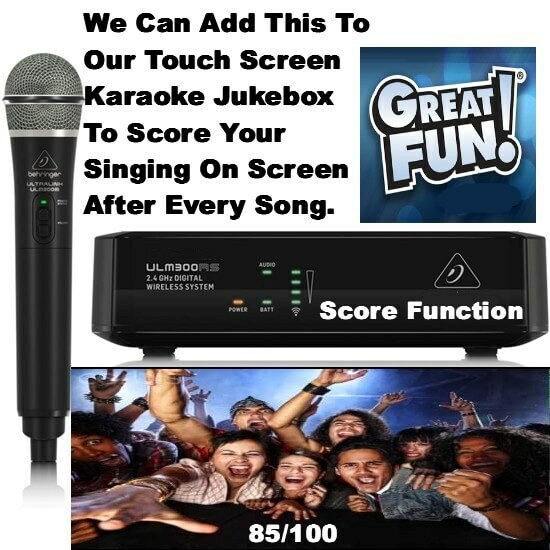 HENS KARAOKE JUKEBOX OR BUCKS KARAOKE JUKEBOX AVAILABLE !! 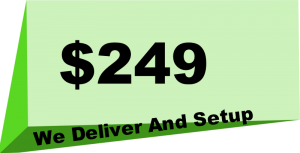 Supplied With 2 x 15″ 400 Watt Speakers-Standard Bass. 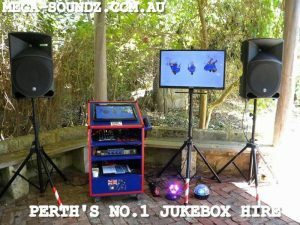 Large 19″ Touch Screen Monitor On Jukebox. Hi Def Output On 32″ Singers Tv On Stand. 2 X Disco Effect Party Lights. 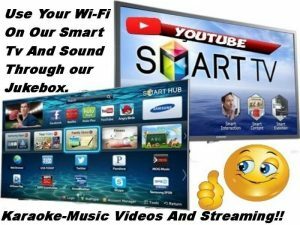 Karaoke All Decades + Latest Top 50 Chart Hits.